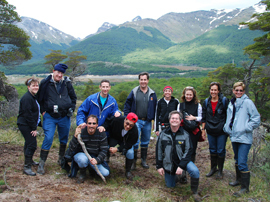 Argentina is a fascinating land of contrasts and unspoiled nature. Come with us as we hike through Patagonia and discover the wonders of beauty and the great outdoors as they combine to create one of the most magnificent landscapes found anywhere on earth. Here, you’ll find impressive waterfalls, appealing landscapes, delicious wines, peaceful lakes and breathtaking glaciers, as well as abundant wildlife. Some of the most awe-inspiring, jaw-dropping and amazing scenery can be found on our visits to Glacier National Park, El Calafate, Perito Moreno Glacier, the Upsala Glacier, El Chalten and the Fitz Roy footpath and more! Add to that the city of Buenos Aires, where despite the cosmopolitan atmosphere and dynamic activity, has managed to preserve old traditions and its charming ways. 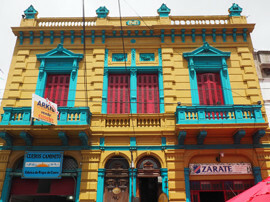 Each of its neighborhoods fascinate its visitors with a unique personality all their own. From craft markets to tango, this city is buzzing day and night. We end with a visit to Mendoza, the land of sunshine and good wine, as several wineries have settled in the area and produce the famous Malbec grape with delicious and high quality red wines. 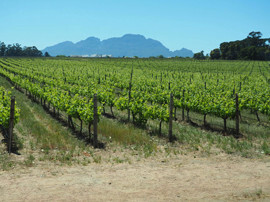 We’ll have two days here to sample wines and head into the gorgeous surrounding areas for some outdoor activities. This tour is limited to 20 guests, where a smaller group will make your travel experience more personal. This trip is crafted for the active traveler and you must feel confident in hiking for multiple hours at a time on varying terrain. The highest elevation on this trip is 3,600 feet (unless you are doing the optional hike on Day 10 where the elevation is approximately 10,200 feet). A deposit of $600 is due with your reservation. Full payment is due October 10, 2018. Pay final payment by check and receive a $100 reduction in price. All passengers are required to take our group intra-air package. Pre-Night Stay in Buenos Aires (January 12): For those who want to arrive prior to the start of the tour, we have a limited number of rooms held at our group hotel. Please note – there will be no Amazing Journeys staff present nor will there be programming on these days. We are not able to match roommates for extra night stays. Rates include taxes and breakfast. Cancellation Policy: From the time of deposit until June 7, 2018, there is a $100 penalty for cancellation. From June 8 – October 9, 2018, the cancellation penalty is the amount of the deposit. From October 10 – November 27, 2018 the cancellation penalty is 50% of the total package price including intra-air. From November 28, 2018 until the day of travel, the cancellation penalty is 100% of the total package price including intra-air. Cancellations made on the day of departure and “no-shows” will receive no refund. There is no refund in the event of interruption or cancellation by the passenger after the start of the journey. Flights and Transfers: Airfare is not included with the tour cost. All passengers are required to take our group intra-air packages. For the Patagonia component, the rate is $758 (for 3 flights, including taxes) and for the Iguazu Falls Post-trip, the rate is $365 (for 2 flights, including taxes). Airport transfers are not included, however, we will provide you will options for purchase at the time of final payment. It is important that you not purchase airfare until you receive a confirmation letter from Amazing Journeys which will contain specific flight parameters. Taxes and Gratuities: Taxes, surcharges, visa fees and government fees are subject to change. Gratuities for the tour manager, local drivers, specialty guides, luggage porters and included meals are included in the cost of the tour. Passport and Visa: A Passport is necessary to travel on this itinerary. It must be valid for six months beyond the last day of the trip. Two blank passport pages must be available in your passport. Argentina – Argentina has a reciprocity fee which works similar to getting a visa. US citizens are not required to have this, however those from Canada and Australia are. Brazil – For those continuing on to Iguazu Falls who want to visit the Brazilian side of the falls, there is a visa required for citizens of all countries. The fee for US citizens is $160 and $80 for those from all other countries. Please note that all visa and reciprocity fee information as well as rates may change from time-to-time. It is up to the individual traveler to know the most current rules before traveling. Visas and reciprocity fees must be obtained in advance of your arrival however may not be obtained prior to 90 days before travel.